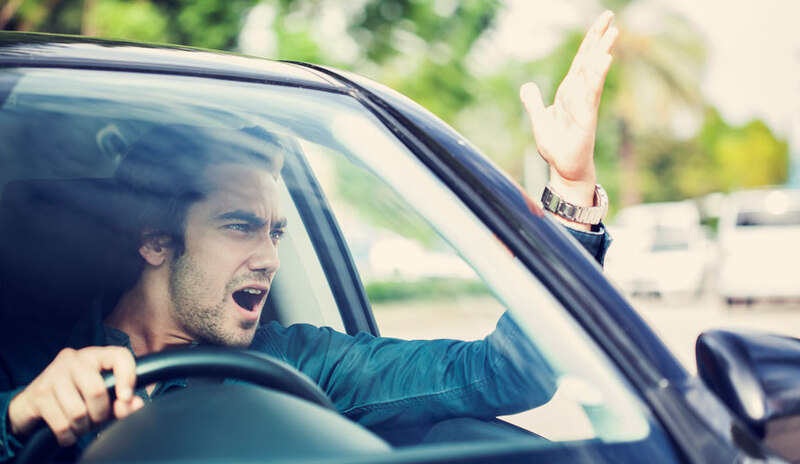 Annoying drivers – Are You one of these People? A long commute can be quite stressful and draining emotionally. Not only do we have to deal with bumper to bumper traffic at 5 mph but we also have to share the road with drivers who lack courtesy, respect and common sense. I used to have quite a stressful 20 mile daily commute on the 405 freeway which is considered one of the most congested freeways in the United States. Here are my personal observations of the worst offending drivers that I have personally come across. Slow Fast Lane Hogger – I admit it, I like to drive fast, especially when I’m in rush. The left lane is my lane of choice. What I fail to understand is why someone would choose to drive 50 mph in the far left lane when there is a space the size of half a mile between their vehicle and the car in front of them?! This results in the entire lane being backed up for miles with unsuspecting drivers stuck behind the lone slow driver. The drivers in the back most likely aren’t even aware that it is just one person holding up the freeway but may instead attribute the slow flow of traffic to an accident or congestion when it’s actually just one slow person holding up the lane! What’s worse is when they won’t let me pass when they can clearly see me coming up behind them. They are literally forcing me to pass on the right which is dangerous and sometimes I’m not even able to do so because the lane to the right of them is also congested. The Late Merger – This driver will wait until the very last minute to maneuver into the proper lane in order to merge on the freeway because they were too busy speeding in the other lanes. I find this quite annoying, especially if I have been waiting patiently for my turn to enter the on-ramp and now this driver zooms out of nowhere and just expects me to let him pass? No way! Mr/Mrs Indecisive at the Red Light – The truth is that it doesn’t matter if you decide to stop or go at a yellow light but just make up your mind and follow through with it! There is nothing worse than driving behind someone who will accelerate as if they are running the yellow light and then brake at the very last minute, causing you to almost hit the back of their ride. Mr And Ms Popular on their Cell Phones – Usually I wouldn’t really care if people are chatting away, but I definitely care if they are driving directly behind me and look like they are about to hit my car because they were too busy talking on their cell phone, which happens to be illegal. It’s illegal for a reason; people aren’t able to focus completely on driving if their too busy talking about what they are going to wear to the club or who the hottest guy/girl is. Driving is a serious matter.